Victor Aular has been in the local painting industry since moving to Florida in 2001. His expertise and attention to detail has made him a leader in the local market. His business also continues to operate in his hometown in Venezuela. He lives on the Gulf Coast with his wife and two daughters and can be found boating and fishing when he isn't working. At Valven Paint we pride ourselves on our quality, personalized service, professional workmanship, and competitive pricing. Our company has earned a reputation as being among the area’s finest painters. We use only the finest quality material available on the market today, along with the most advanced techniques in the industry. All of our employees are skilled painters, with the proper training, and a minimum of 5 years experience. Expertise and dedication to your needs provides you with a professional commercial and residential painting experience. While in the painting business for over 13 years, we have established a reputation among our satisfied clients including: building owners and managers, facility managers, property managers, real estate developers and agents, builders, general contractors, and others. We were recommended to many by our existing customers, providing a strong endorsement of the high value and quality of our services. Valven Paint can offer the most competitive prices in the painting industry. We strive to protect each client's interests by choosing the optimal refinishing system for a given surface, taking into account budgetary constraints, environmental exposure, and target life expectancy. To receive a detailed price estimate for your painting project, simply request a quotation today. For employment, careers and business partnerships with Valven Paint, please click on the icon. It is all about the time, when it comes to project completion. Our projects are completed on time and to budget. Our work is conducted by professionals in a safe and conscientious manner, and for your peace of mind and protection, Valven Paint is insured. A client's complete satisfaction is always our primary goal. Our projects are completed using careful surface preparation, state-of-the-art equipment and application techniques. Our work is guaranteed. Valven Paint is routinely recommended by owners, property managers & builders, as a preferred contractor. 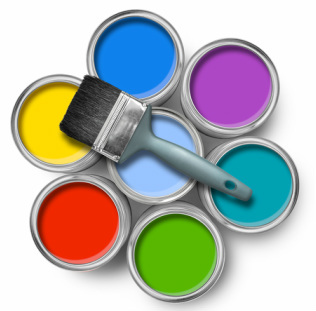 Please contact us to describe your specific painting project, and we will provide appropriate references.